Das sollte die Standard-Einstellung sein. Nur in einem Konflikt-Fall werden Sie gefragt, was mit der Datei getan werden soll. Bei dieser Einstellung werden immer beide Versionen beibehalten. 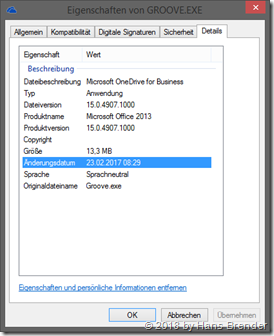 Auch wenn der Haken “Office-Dateien”, die ich öffne …. nicht gesetzt ist, kann es sein, dass Sie mit dem Phänomen “beide Kopien behalten” konfrontiert sind. Aktivieren Sie kurzfristig die Funktion, um den Zustand des Schalters “Synchronisierungskonflikte” zu sehen, unter Umstände zu wechseln, und anschließend das Office-Häkchen wieder zu entfernen. Wie wir sehen, gibt es eine Ausnahme beim Datei-Operationen. Bei 3-, Bewegen einer Datei innerhalb einer SharePoint Site-Collection, also OneDrive for Business zu einem anderen Verzeichnis von OneDrive for Business wird das Kommando nur dem Next Generation Sync Client (OneDrive.exe) mitgeteilt, der diese Anweisung in die Cloud weiterreicht. Auf Grund der unter Umständen anderen Rechte-Struktur einer SharePoint Site-Collection zu einer anderen SharePoint Site-Collection wird die Datei zuerst lokal synchronisiert, und dann neu in die Cloud geladen. 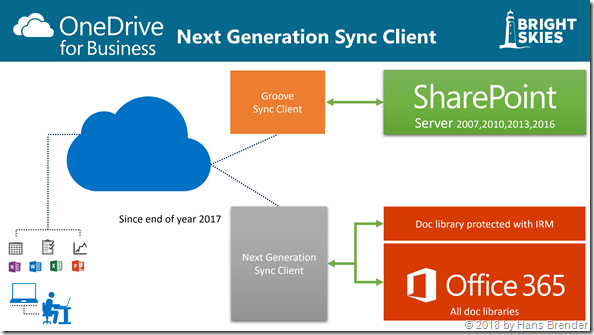 If you open the settings of the Next Generation Sync Client you will find a section “Office”. 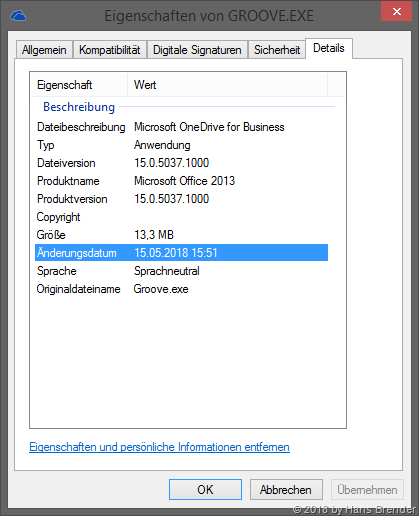 You may switch it on, if you want to coauthor with Office 2016 (2013) programs like Excel, Word and PowerPoint. 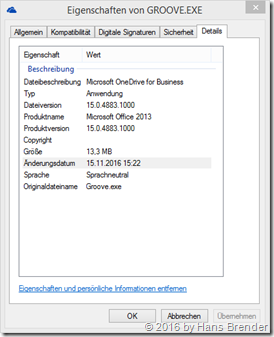 In the past, the coauthor feature was only available in Office Online, where you have to work with Office Online inside of a web browser. 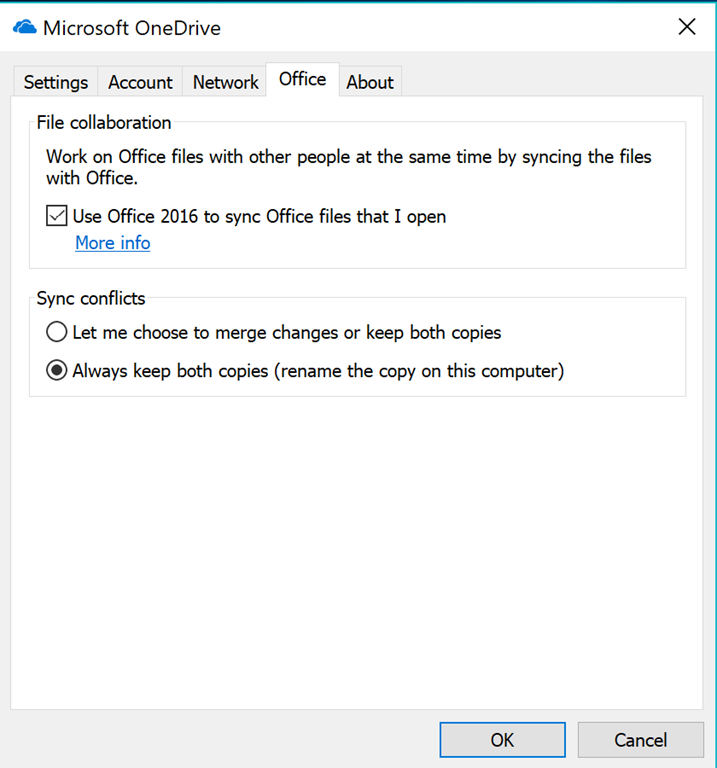 If You say yes: “Use 2016 to sync Office files”, another dialog will open, to handle the sync conflicts. You may change these settings only if you have Office installed. This should be the standard settings. 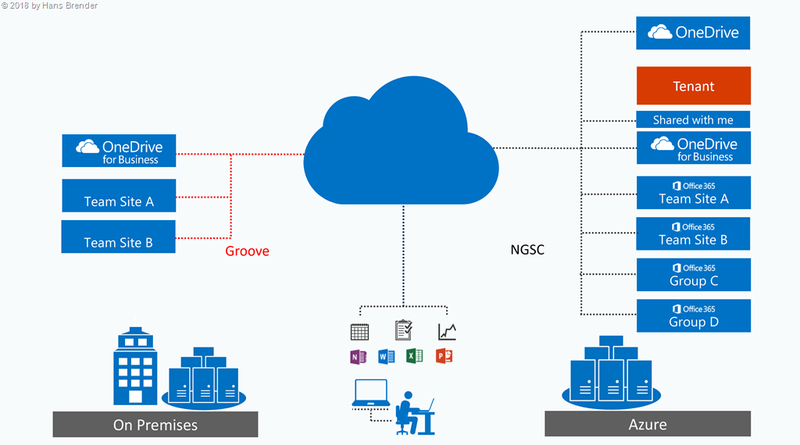 Only if a sync conflict will occur, you should be asked, what will happen with the file. But the next option is activated. If you use these settings, both versions will be kept. 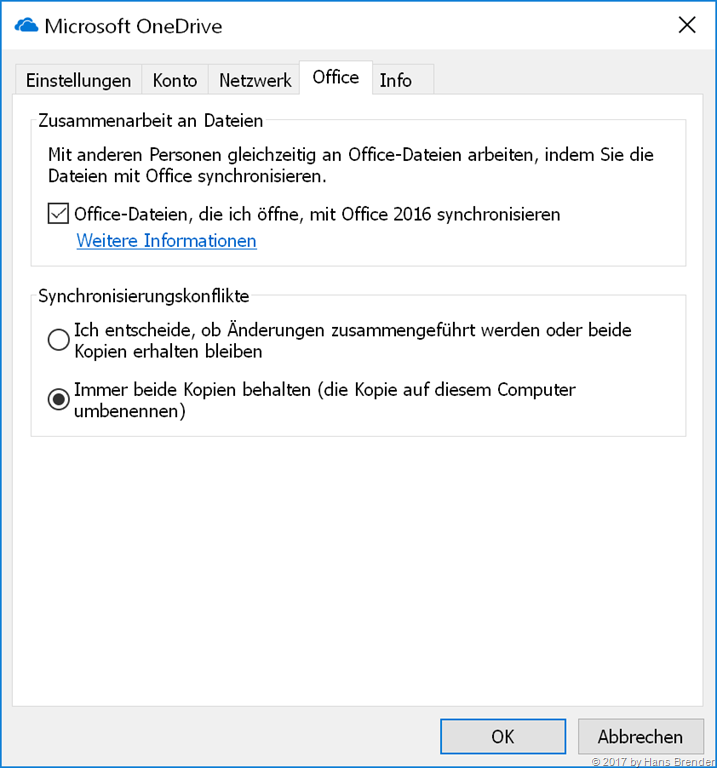 Even if you have not select, that Office 2016 will handle syncing, it could be happen, that you will be have a look of the second part. 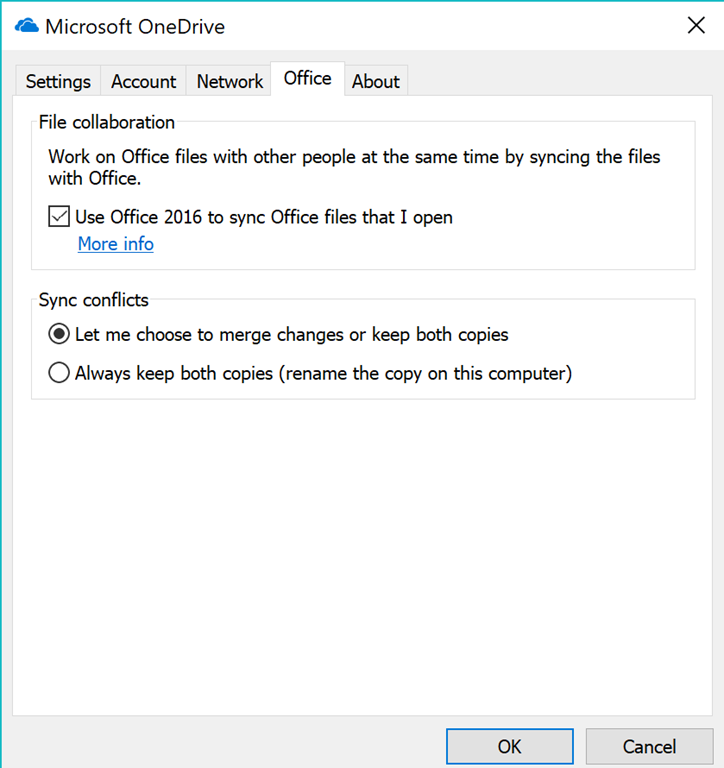 Do activate “Use Office 2016 to sync Office files” , to see the second part, maybe change the second part and after that, deselect the option. General the Option “Use Office 2016 to sync Office files” has different behavior. 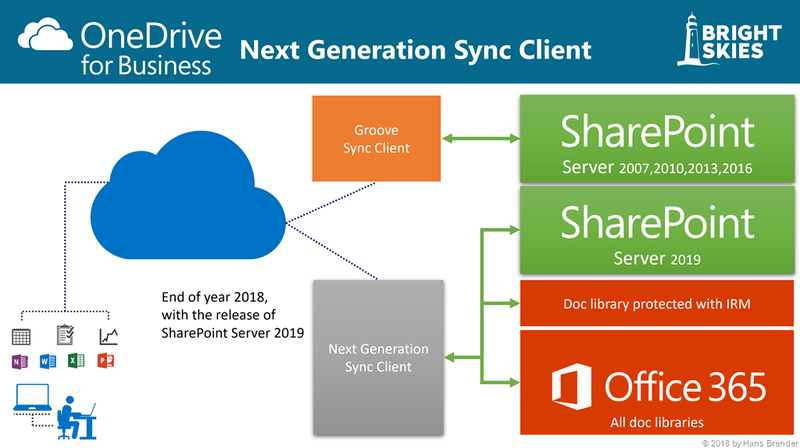 The following things were tested with Windows 10, Version 1709 and Office 2016, and you have a folder in OneDrive for Business, that is only in the cloud (and not synced to this device). The document will be save local, synced to the cloud, the file status is “synced locally”. Action Source Destination Condition source Condition dest. We see, there is an exception on Action 3. 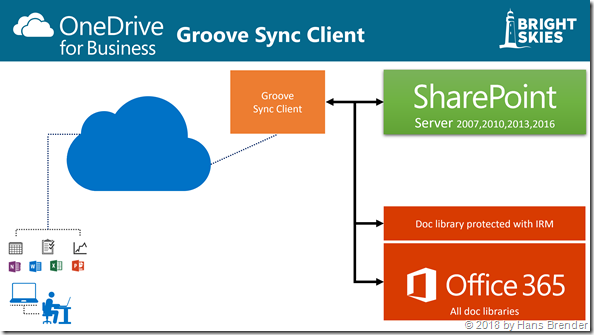 Move within a SharePoint Site collection, f.e move a file from one folder in OneDrive for Business to another folder in OneDrive for Business. 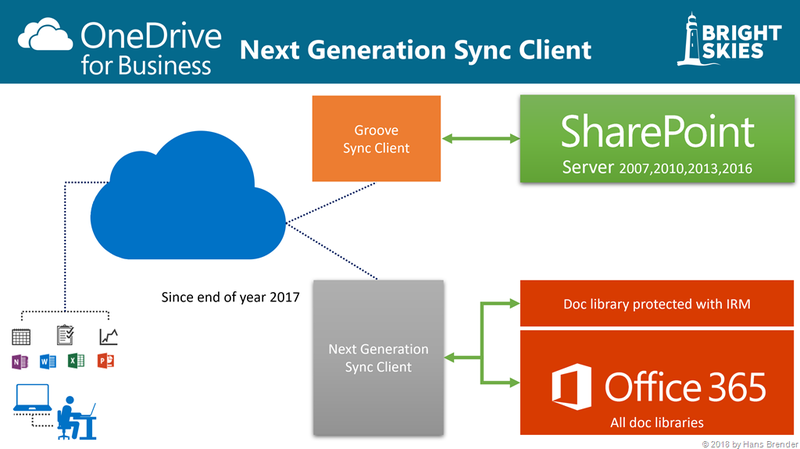 So the action will be transported with the Next Generation Sync Client to the cloud, no local sync will be done. If you do a move action between different site collections (from one folder inside a group) into another folder in another group,it must first be synced to the local device (down) and the synced to the new destination (up).